The waterfall starts as a short free-fall of about 15 or 20 feet high, then cascades down another 15 feet or so over some steep, layered rock into a crevice holding a pool. There are some smaller cascades just downstream. The stream has a fair amount of water flow under normal conditions, so the falls can be loud - at least more than just a showery spray. Nearly perfect for photography under the right conditions (meaning cloudy) - at other times the sun shines directly on the falls, as the sky is open above. 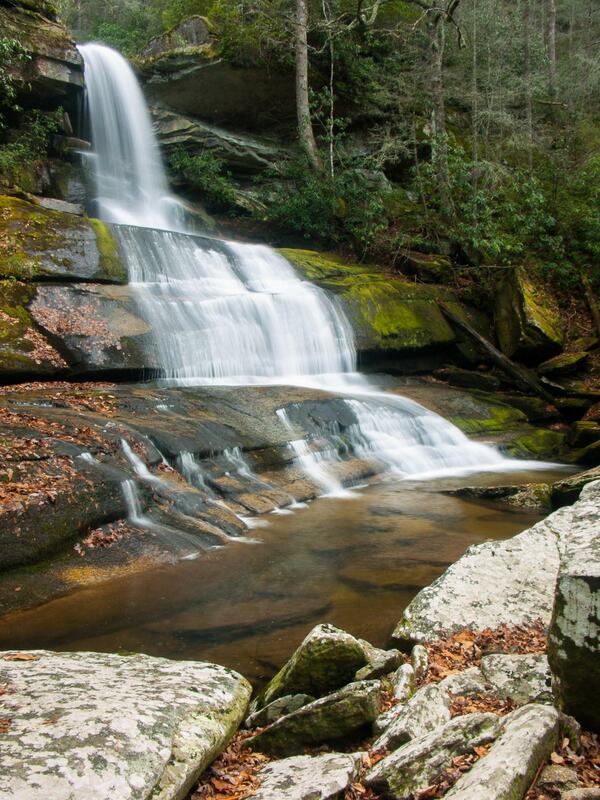 This waterfall is located on private property. No public access is allowed. At the request of the landowner in the area, we have removed information about accessing the falls.